PPF...the good, the bad and the ugly? Thread: PPF...the good, the bad and the ugly? 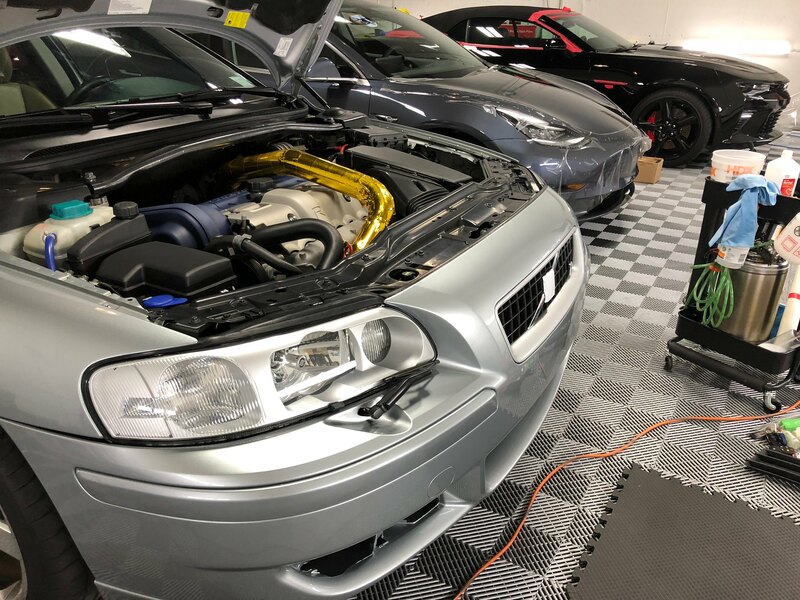 DYNOshield was designed for easy maintenance, incredible shine and to protect your paint against rock chips, surface scratches and other environmental concerns such as UV damage, bird droppings, and insects. Our nano-infused HYDROphobe® glass top coat allows you to enjoy the unique benefits of an extremely hydrophobic, glossy, and self-healing surface while staying protected with market leading puncture resistance. Pondering PPF and I`m guessing that (much like coatings) sometimes the hype doesn`t live up to the reality of the situation. Cost aside, for those that have experience with this kinda thing what are the downsides? I realize that if a tremendous boulder gets kicked up and punctures/tears the film, fixing that is more involved than a coating, requiring removal and reapplication, but just how tough is this stuff in daily use? Aside from minor scratches and nicks from road debris, what happens if it gets lightly scuffed/marred? Can it be lightly polished out without compromising the top coat? Is coating on top REALLY necessary? Re: PPF...the good, the bad and the ugly? PPF is very durable. It definitely helps keep the high risk areas looking good for years. I had a buddy who we applied it to his Golf, years later he hit a deer, insurance gave him $800 for re-installation of a new one. 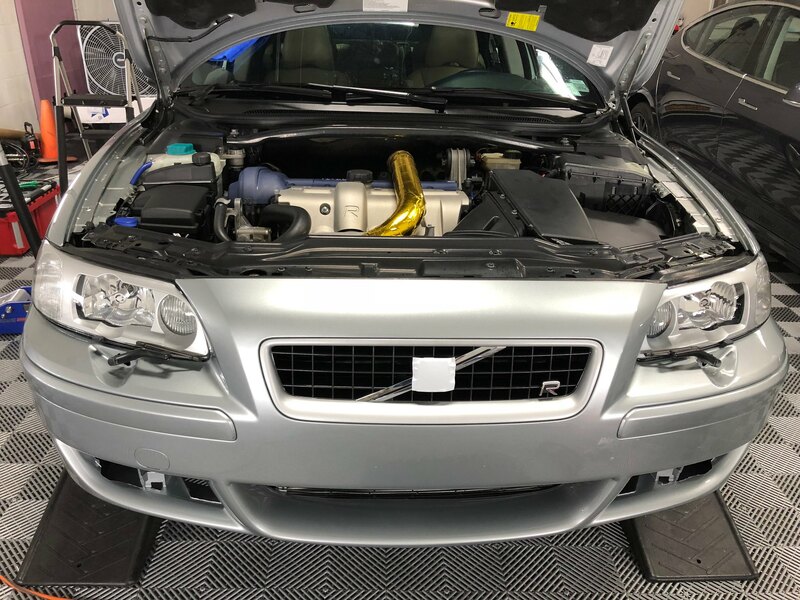 He lives in the DC area and his front end looked great after 80,000 miles, which is amazing considering you cannot leave space between cars there. When he purchased a new truck he promptly applied one again. He doesn`t coat anything so he only applys whatever LSP he is applying to the paint. You should apply something to it as it makes cleaning it easier. I don`t think that means you need to coat it but a wax/sealant would be a good idea. I used some static cling style on an old motorcycle tank and it held up great, even on track. I have some on my front bumper after getting it repainted and so far it looks great. Last time it was repainted it started chipping quickly. I have applied for a friend who is a paraplegic to protect his door jam/rocker/behind the rear of the door and while it does protect the paint, it does get scratched and gouged by the chair edges at times. However, its better than damaging the paint since I can remove and reapply every few years. It will etch, sometimes easier than paint due to bugs, fluids etc. There was a thread about automatic car wash soap staining it recently. Some brands are self healing, but those that aren`t can get marred/swirled. You generally can polish it lightly. Depending on how it`s installed you will have edges. They can eventually get a buildup of dirt/wax/polish etc. You can see the edges on some paint more than other. It will change the look of the paint ever so slightly. It`s not super easy to install or remove. I think it`s great. I highly recommend it. You should apply something to it as it makes cleaning it easier. I don`t think that means you need to coat it but a wax/sealant would be a good idea. Agree. And if using a LSP that "dries white" the application technique needs some consideration to avoid having a white outline around the PPF. ...I have some on my front bumper after getting it repainted and so far it looks great. I`ve often wondered how to handle PPFing a repaint what with the need for outgassing/etc. Good idea! I oughta have some areas on the Crown Vic done so I can relax when hauling mobility-limited pals; last thing I ever want to do is blurt out "don`t touch the paint!" to somebody who has better things to worry about. The stuff is porus. It`s a huge upsell. $2000 ++ Minimum for quality PPF installs in my hood. The guys that install it will tell you all the *benefits*. It soaks/soaks in grime over time. Rip one off and hold it in the light. You will notice how not clear the film is. LESS noticable on darker colors when installed. More noticable on lighter. Ever instance I have had film removed, I`m really grossed at the clarity of it or color....vs. what is what I consider clarity. Save nicks though. So choose your poison. They are great for headlights from Day 1 of ownership. 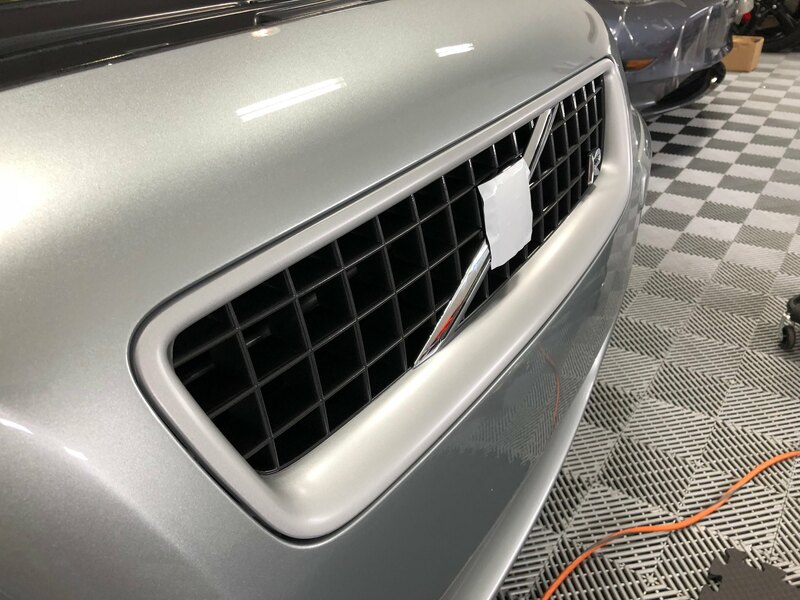 Regarding install - any good PPF install involves custom edge wrapping, cutting, etc. PAY the PAY for a quality installer. There are literally taking Xacto knives and cutting the film, oftentimes, a mm away from paint if not less. It is not UNCOMMON that when you remove film, you will notice a paint nick or 2 or 3. You don`t notice it when the film is lying ontop of. Have also been using clearbra - on my personal vehicles for over 20 years.. I will always have it put on the entire front end, half the hood, the back of the mirrors, and all the door edges..
My Black Grand Cherokee is 9 years old, has driven close to 40k miles all on the highways between the Pacific Northwest, California, to and from Texas and back.. The clearbra has absolutely SAVED that black paint from numerous things hitting it over all those years and miles.. Yes, you can wash it, and none of my experiences with it involve etching, etc., perhaps I just am lucky or something ??? If the clearbra is very old and very scratched, it will be impossible to clear it back to new.. It is NOT paint... Its plastic.. I have been able to improve badly scratched, old clearbra`s mostly on Porsche vehicles, those guys are really cheapo`s sometimes, and dont want to replace it.. I never have problems with the edges getting crap built up into them because I always work from the opposite end of the clearbra TOWARD the back of it to the edge, so I am not accidently or on purpose pushing something into the edge.. My edges are all perfect all the time..
All edges can be cleaned but it is really tedious and time consuming, you need a lot of pointed Q-tips and you have to be careful to not scratch the paint.. Perhaps run a line of 1/8" or 1/4" tape just up to the edge on the paint, and that should allow you some room to try to work out crap that might be built up there.. The newer clearbra material is thinner, more clear and stronger... I just put the best 3M product on my 2007 TL Type-S front end, and it is hard to even find the edges of it.. Yes, it can be removed, I use a heat gun - carefully - and get the majority of it off.. The remaining glue stuck to the paintwork is always the worst part to remove, but we are Detailers, so getting the details done is part of this craft.. I vote "Viva la Clear-Bra`"
Heh. Just noticed your location. BTW, I lined the inside of my auger chute and also removed my augers and lined the bucket with Xpel on my brand new snowblower. Now THAT is worth doing PPF - just merely, well, you know what the auger housing/chute of a snowblower can get. Basically, I suppose to sum it up. It protects paint. Whether or not it`s a right fit for looks - depends if you have golden eyes or not. 1. It`s a nice fresh paint job and you really like the car. 2. If it`s a new car, atleast do the front bumper and headlights. 3. If the car is in pretty good condition (Low milage used, CPO). 4. It`s a collector car. At $21.99 it will remain a secret to me. Oh and my car that is 12 years old and now has been redone and FULL front end PPF. What is the “best” brand of PPF now? I believe 3M still has the best window tint. So is it 3M for PPF too? Tint is more about color for me. Black vs. grey vs. green, etc. It`s hard already as the legal limit is just one big money grab. I hate driving clear and a heat soaked car is a heat soaked car. Suntek for looks. It`s harder so may show imperfections more. Xpel is thicker - touch more OP, softer so less imperfectionsn/nicks show. Hope all is good at su casa` ! And as I said above, I always have to look for the edges because they just seem to go away.. I have the older Venture Shield on the 2009 vehicle because that was the best in 2009.. They have all kinds of different window treatments tinted or not, that look like they are really good. Since it`s my garage queen I just waited to install PPF until 90 days had passed. No issues after several years. We`re gonna be replacing my wife`s summer toy (black 2004 Corvette) with a new 2019 model so figure may as well invest in something new (protection-wise), if appropriate. While it is a summer-only `toy` she pretty much uses it as her main vehicle unless the snow is flying. It will be getting groceries, running errands, sitting in the rain in the morning and then sun in the afternoon and pretty much being used as any other commuter/daily driver in the nice weather. We kept the last one for 14 years so I`m guessing that barring any unforeseen incidents, this will be the last `fun` car, likely the one we drive to the retirement home in 10 or 15 years. 1. How long do the hydrophobic properties built into the PPF last and what do ya do if they diminish after a year or 2? 2. Does a PPF like this *need* a coating on top of it and if ya do coat on top of it, does that mask the self-healing properties of the underlying PPF? 3. Do the coatings hydrophobic/self-cleaning aspects meet (or exceed) that of a coating? 4. If I only do (PPF) front half of car and coat the back half, will it be a visually noticeable difference between front and back half or is this a reason to coat the entire care to maintain visual consistency? Which brings us back to point #2 a bit, that being a coating masking the self-healing properties of the PPF? 5. If the entire car (or front half) is PPF + Coating, what happens in 2 or 3 years when the coating needs to be re-done? Can ya just polish the coating off and re-coat or what does one do when a coating `refresh` is needed? I would guess that takes a bit of finesse if indeed you can polish a coating off of PPF surfaces. 6. If the surface somehow gets some light marring/surface scuffing (not really a scratch), how is that dealt with on PPF? 7. Any special care/maintenance needed for PPF or will current Gyeon Foam, Gyeon Bathe routine suffice? Thanks for the quick and extensive feedback, very helpful. Treat the film like paint. Like any LSP, it will change the optics of it, so it really depends on your eyes on what is acceptable. I would skip the stek. And or if you have access to Xpel and Suntek installers, hold all film on the same panel/plane. Sounds like PPF has come a long way since the stuff I had (a fellow Autopian install) on the Tahoe. Thanks for the response, even though that`s what I was afraid of I gotta do some areas of the Tahoe and that can never be out of service for long. I don`t read much into the marketing materials of keywords as Hydrophobic, self healing, etc. I`d rely on my LSP for the water behavior, but the self-healing would practically be a must, otherwise how could I live with it? It`d just be "marred PPF" instead of marred paint and marred is marred and no thanks. All times are GMT -5. The time now is 07:12 PM.